Jo Pavey is to return to Glasgow this autumn to compete in the Bank of Scotland Great Scottish Run on October 4. The half-marathon is set to be Pavey’s first race on Scottish soil since she battled to a brilliant 5000m bronze at the Commonwealth Games last August. Just 10 days later, the Exeter athlete won European 10,000m gold in Zurich. 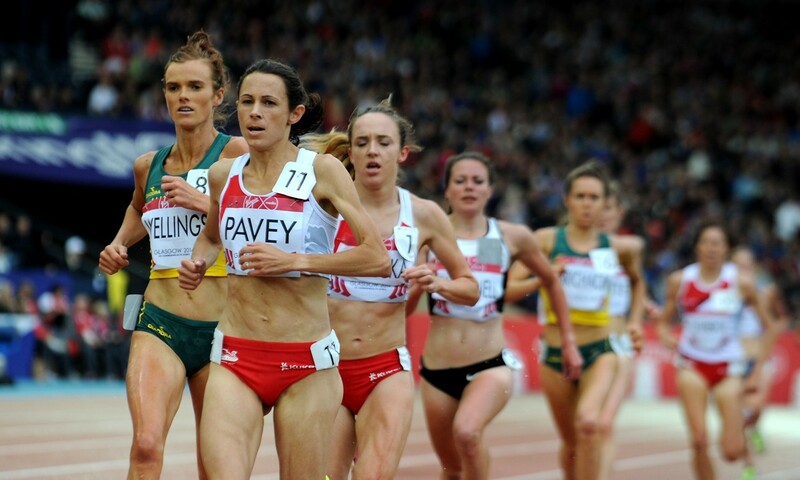 “It means a lot to me to be coming back to Glasgow for the Bank of Scotland Great Scottish Run,” said Pavey, who competes for Great Britain at the European Cup 10,000m in Sardinia this weekend. “I really wanted to run last year but it was not possible because of injury. Pavey has not run a half-marathon since September 2012 when she finished fifth in the Great North Run. That came just over a month after she finished seventh in both the 5000m and 10,000m finals at the London 2012 Olympics. With a best of 68:53 from 2008, the 41-year-old could target the UK over-40 best of 71:44 run by Lorna Irving in 1987. Pavey recently announced how she intends to sit out this year’s IAAF World Championships in Beijing, with next year’s Olympic Games in Rio her main target. “I’m not complacent about it,” she added. “There’s so much talent coming through in Britain and, as I say, I’m getting older and older. But I still just want to give that a go – and that’s my main thing on my mind at the moment.